When Amy Duncan woke up, she found that her hand was in something wet. Further examination showed that it was a pool of blood coming from the body of her uncle Arthur Tingley who was very dead. It all started when two large food corporations stated their wish to buy out Tingley Tidbits which was the company Arthur Tingley headed. Then quinine was found to have been added to some Tidbits products, and Tingley sales went down. Amy was hired to find out what was going, but after an angry dispute with her uncle, Amy furiously ran out of the building, ran blindly across the street, and ran into the car which was being driven by detective Tecumseh Fox. Fox, always a gentleman, took Amy home and learned the whole story of the Tingley Tidbits problems. Later that day, Amy received a call from Arthur Tingley asking her to come to his office that evening. When she got there, she saw his body on the floor. Then somebody hit her over the head and knocked her out. When she came to, she called Tecumseh Fox to come to this office. He surveyed the body, and sent Amy to a doctor. Amy was suspected of the murder by Inspector Damon of the New York homicide squad, and Tecumseh resolved to get her out of trouble and to find out who murdered Arthur Tingley. 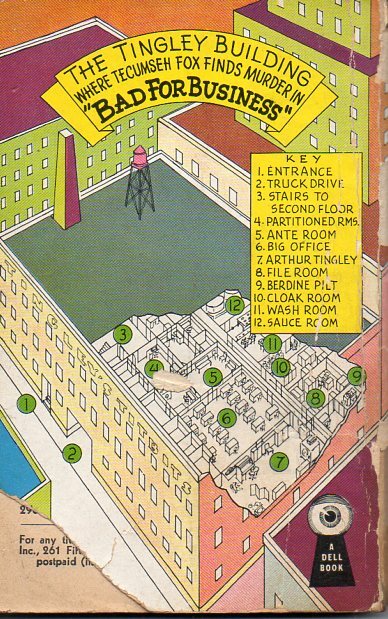 What follows is a very readable story which involves industrial espionage, family problems, and a little love story. 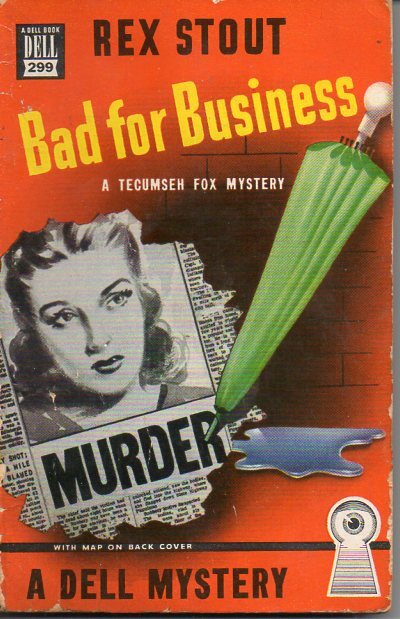 Rex Stout is quite well know for his Nero Wolfe books, but he also wrote three books which feature detective Tecumseh Fox. Fox is much more active physically than Wolfe is, but they seem to operate in the area of New York but never seem to encounter each other. This book was published in 1940. 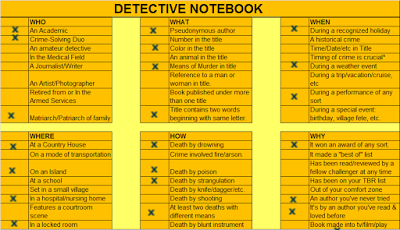 I have read this book for the 2018 Just the Facts, Ma'am mystery challenge in the category What - title contains two words beginning with the same letter.